Senior vice president, eBay Inc.
Education: Amherst College, BA; Stanford University, MBA, 1987. Family: Married Karen (maiden name unknown); children: two. Career: Boston Consulting Group, 1987–1990, consultant; Walt Disney Company, 1990–1998, various positions, senior vice president and chief financial officer, The Disney Store; Hollywood Entertainment Corporation, 1998–1999, chief financial officer, president, Reel.com; eBay Inc., 1999–2000, vice president, regionals and services; 2000–, senior vice president, U.S. business. Awards: Global Business Influentials, Time , 2003. Address: eBay Inc., 2145 Hamilton Avenue, San Jose, California 95125; http://www.ebay.com. 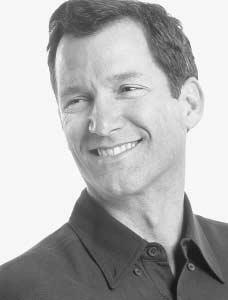 ■ Jeff Jordan in 2000 was appointed senior vice president of U.S. business at eBay Inc., the online auction marketplace. Jordan was a key leader in eBay's rapid growth through the late 1990s and early 2000s and spearheaded several successful initiatives. He was regarded by his colleagues as highly energetic and a possible replacement for the incumbent chief executive officer, Meg Whitman, should she step down. of Jordan's bosses at Disney was Meg Whitman, who would later choose him for a key position with eBay. Before leaving Disney in 1998 Jordan served as senior vice president and chief financial officer of Disney's subsidiary The Disney Store. Jordan joined the team at Hollywood Entertainment Cor poration, a specialty retailer of rental videos and video games. His roles at the company included executive vice president, chief financial officer, and president of Hollywood's online retailer, Reel.com. Jordan had been involved with the online venture since its inception, helping it to achieve $40 million in sales after two years. Jordan was unsatisfied with the overall performance, however. As quoted on America's Intelligence Wire, Jordan said of the project, "It was a model where we were spending $40 million in marketing to sell $40 million of revenue at a loss" (December 20, 2003). Jordan left Holly wood Entertainment and Reel.com in 1999. Jordan began looking for other opportunities and fielded offers from several dot-com companies. He was contacted by his former boss at Disney, Whitman, who offered him a position with the online auction company eBay. Jordan spent a year as vice president of regionals and services and in 2000 made the transition to the role of senior vice president of U.S. business. Jordan's responsibilities included overseeing all of eBay's U.S. operations, including eBay.com; nine of 23 product categories, including motors, electronics, and sports and collectibles; and Half.com, a retailer of used books, movies, and music media. Jordan's U.S. division handled approximately 60 percent of eBay's total transactions. When Jordan joined eBay in 1999 the company had approximately four hundred employees and ten million registered users and was generating net revenue of approximately $225 million a year. By 2004 the company had 5,600 employees and nearly 95 million registered users and had posted net revenues for year-end 2003 of $2.17 billion. Two of Jordan's proposed acquisitions played key roles in eBay's rapid growth: PayPal, an online financial services company popular among eBay users for making and receiving payments, and Half.com. Jordan was quick to point out, however, that a leadership position at eBay was unlike that of a traditional corporation: The community of users played a unique role in directing the future of the company. "We're enablers, not doers. It's hard for an MBA to make that transition. You're used to doing and now you're enabling. And you're giving up control and power. Our goals are really simple. We want to share ideas," he was quoted by America's Intelligence Wire (December 20, 2003). Jordan's corporate background caught up with him with the implementation in 2001 of a new checkout system. While in theory the system worked well, eBay users had a strong reaction. "About one-third of the sellers hated it," Jordan told Adam Lashinsky of Fortune . "For me it was a lesson in humility and an object lesson that this is a joint venture." Jordan was described by his colleagues as high energy, as evidenced by his caricature as the Tasmanian Devil in a company conference room. Jordan was an eBay seller and was popular with eBay users for responding to their e-mail queries and concerns. He was called a weekend warrior because of his mountain biking adventures and frequent trips to the gym. See also entry on eBay Inc. in International Directory of Company Histories . Lashinsky, Adam, "Meg and the Machine," Fortune , September 1, 2003, p. 68. Lisovicz, Susan, "Global Business Influentials," America's Intelligence Wire, December 20, 2003. Taylor, Chris, "Getting a Little Wild on the Net: Jeff Jordan, eBay," Time , December 1, 2003, p. 72.